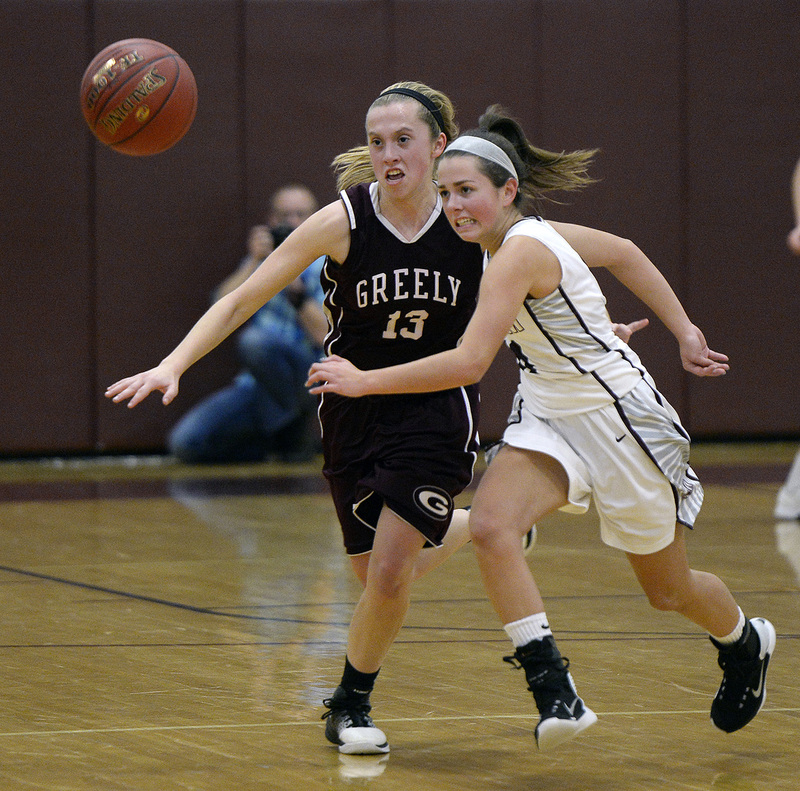 DEC. 20: Greely’s Brooke Obar and Gorham’s Brittany Desjardin pursue a loose ball. 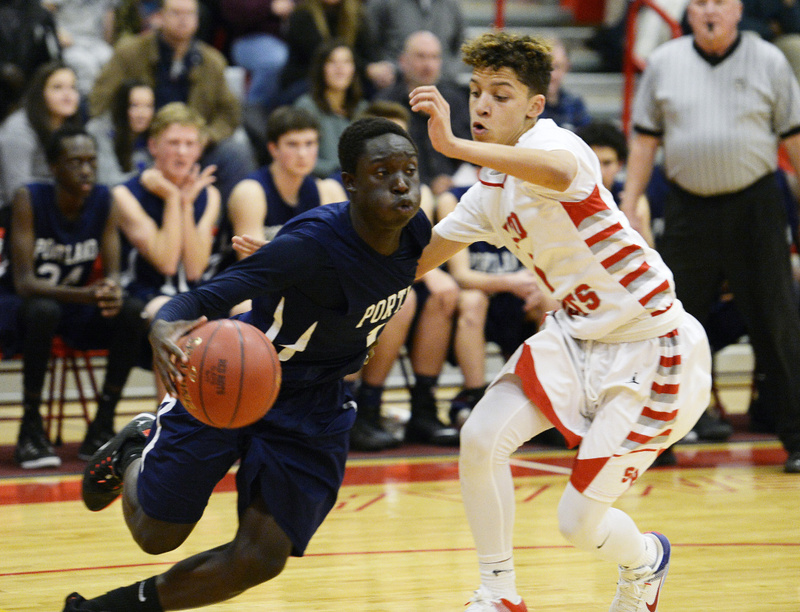 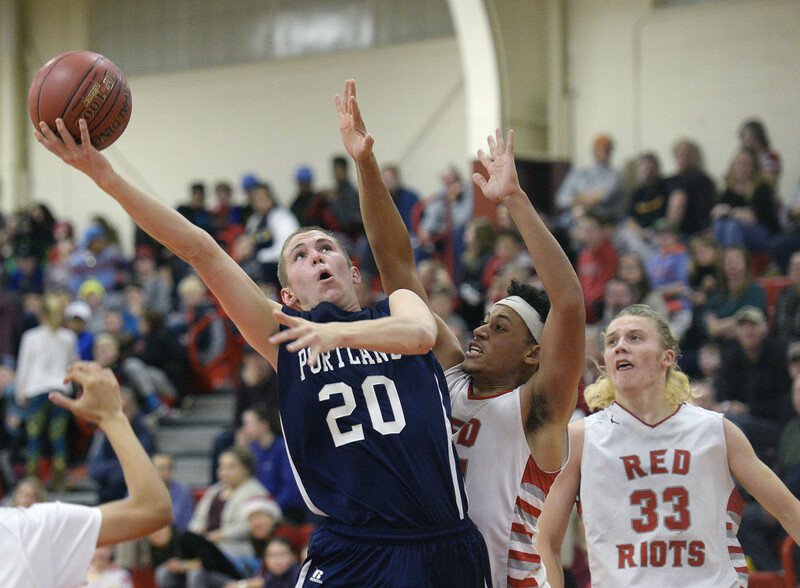 Obar hit a key 3-pointer as part of a fourth-quarter rally that fell a bit short for the Rangers. 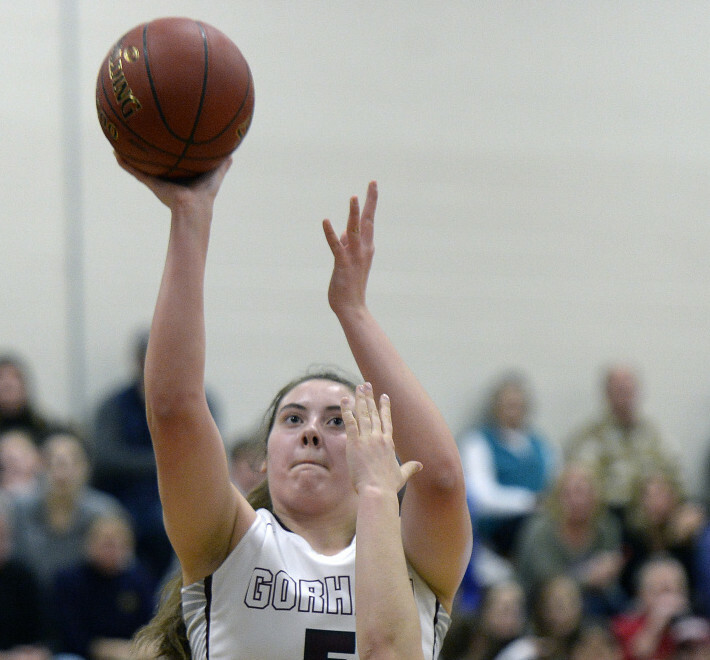 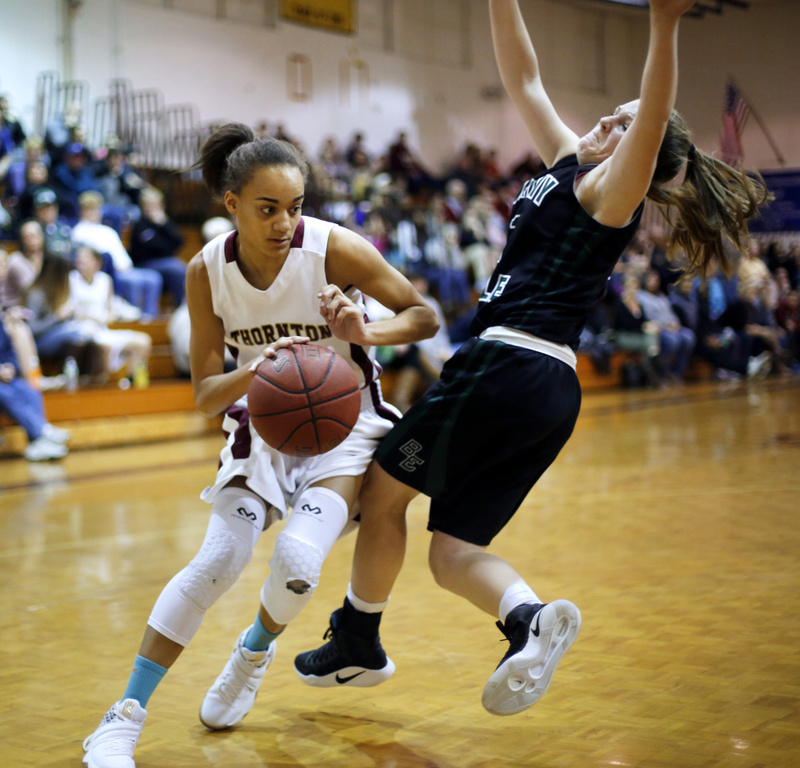 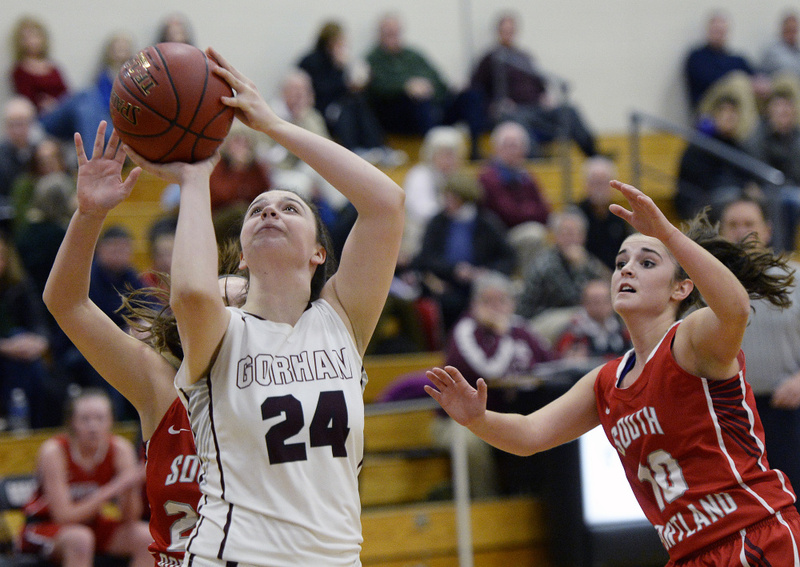 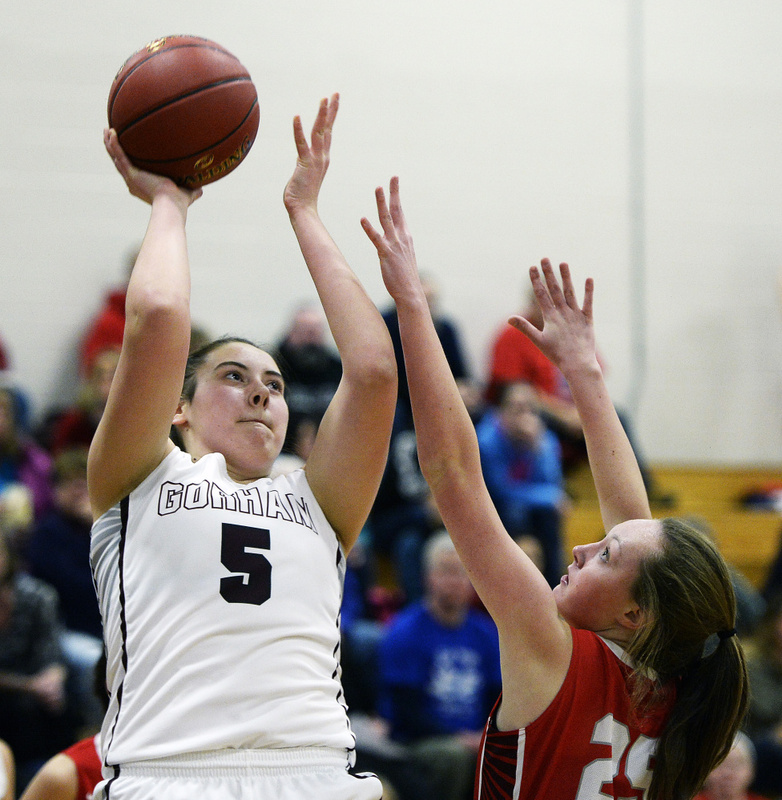 DEC. 20: Mackenzie Holmes scored 32 points to help Gorham beat Greely 67-64. 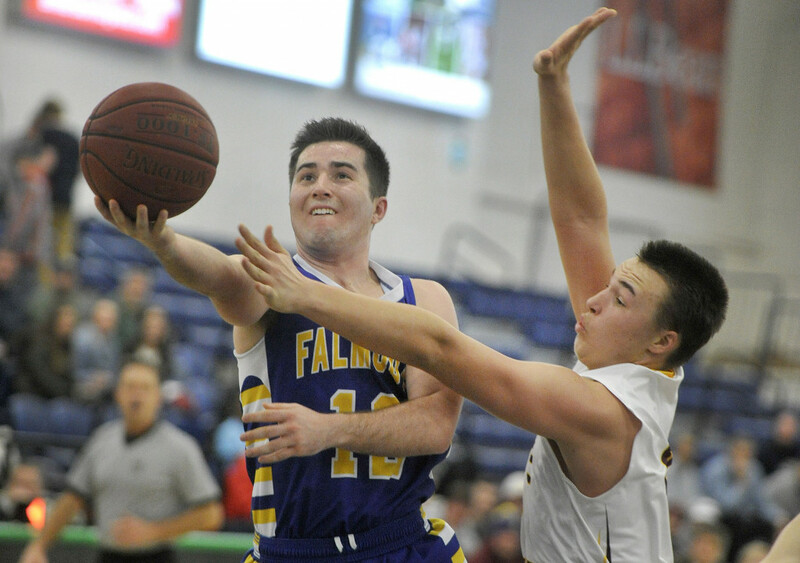 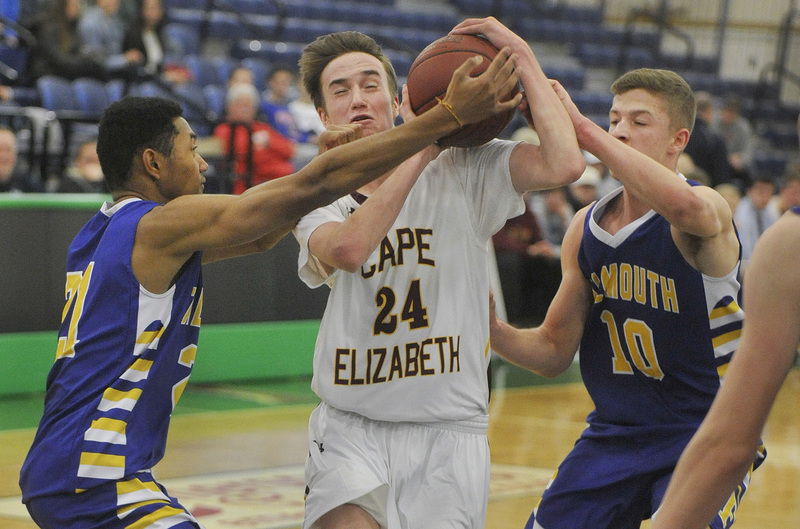 DEC. 20: Falmouth's Colin Coyne tries to control the ball as he moves down the court during the Yachtsmen's 54-36 win over Brunswick. 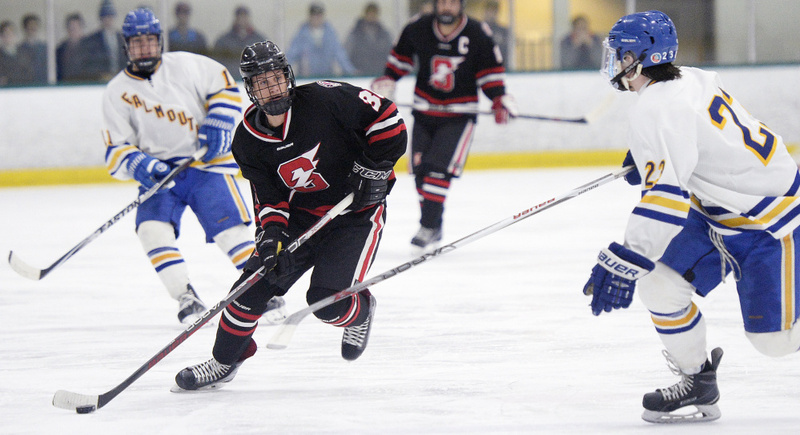 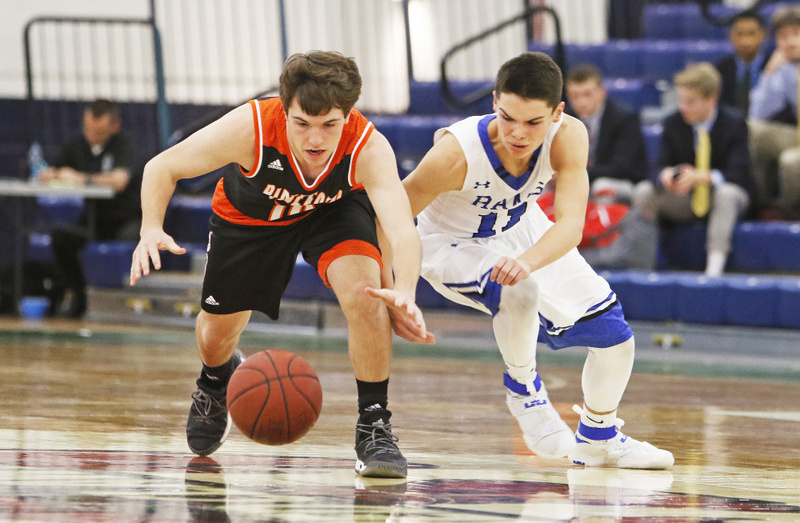 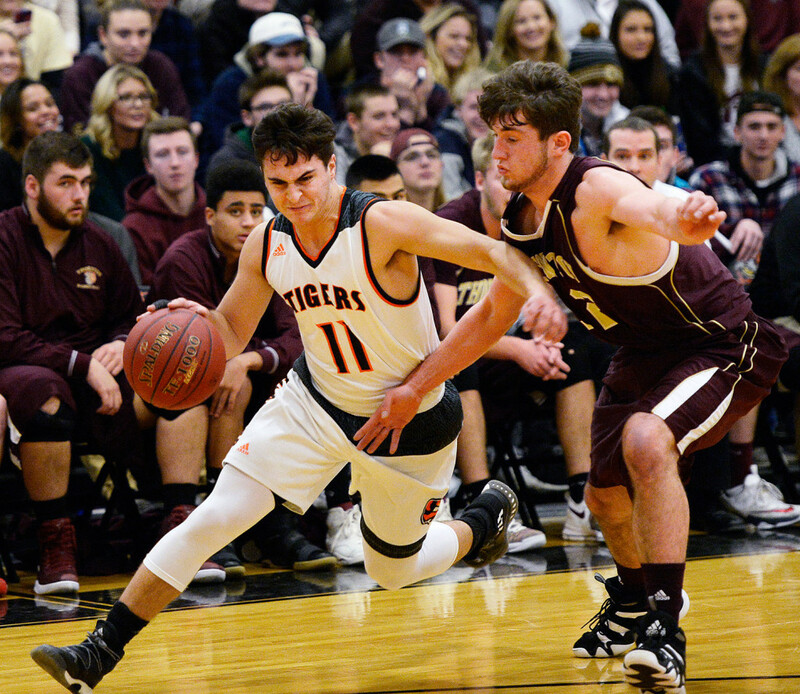 DEC. 19: Biddeford's Patrick Pearl drives down court as Thornton Academy's Evan Christensen plays defense. 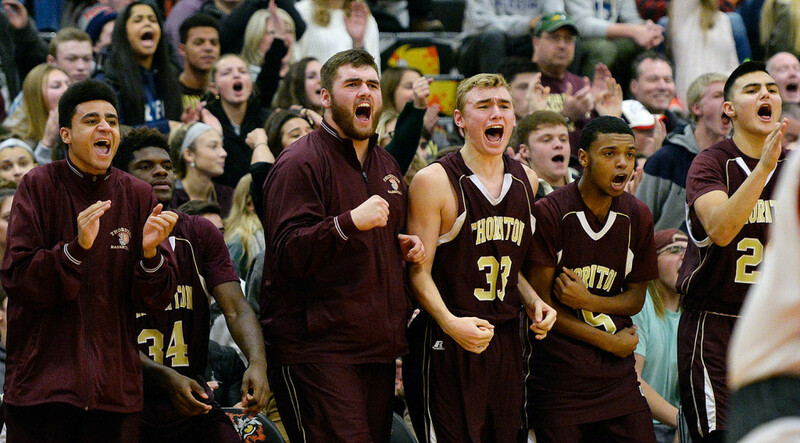 DEC. 19: The Thornton Academy bench reacts during a third-quarter run in which the Golden Trojans came from behind and took the lead against rival Biddeford, on their way to a 61-50 win. 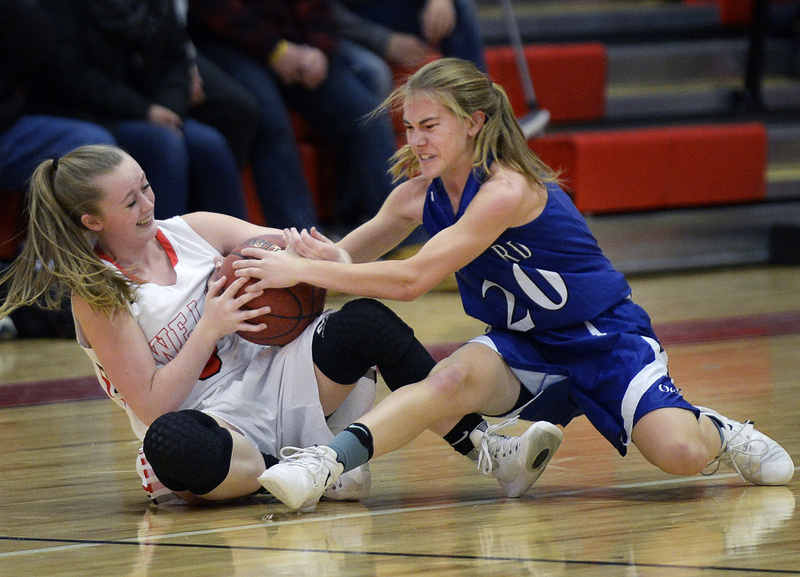 DEC. 16: Hannah Moody, left, of Wells battles for a loose ball with Kaitlyn Cote of Old Orchard Beach during a Western Maine Conference game Friday night. 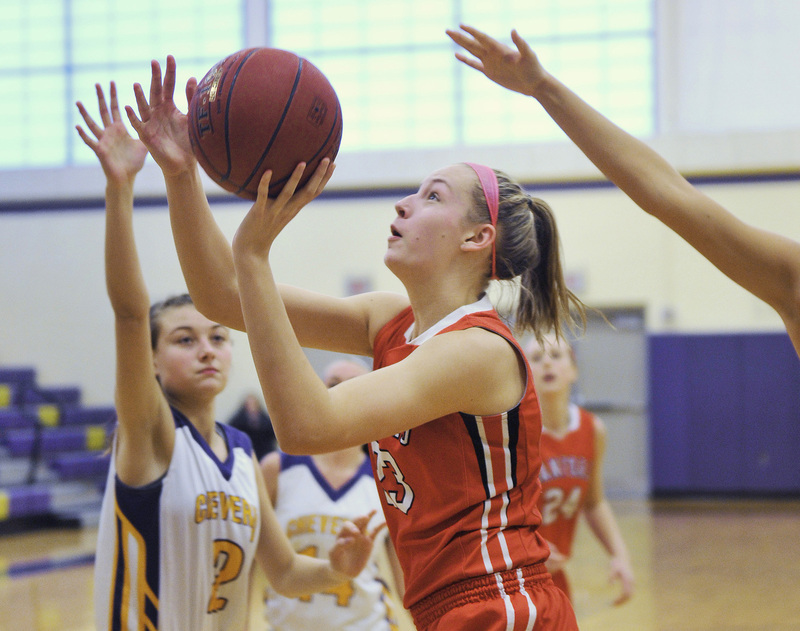 Wells won, 42-16. 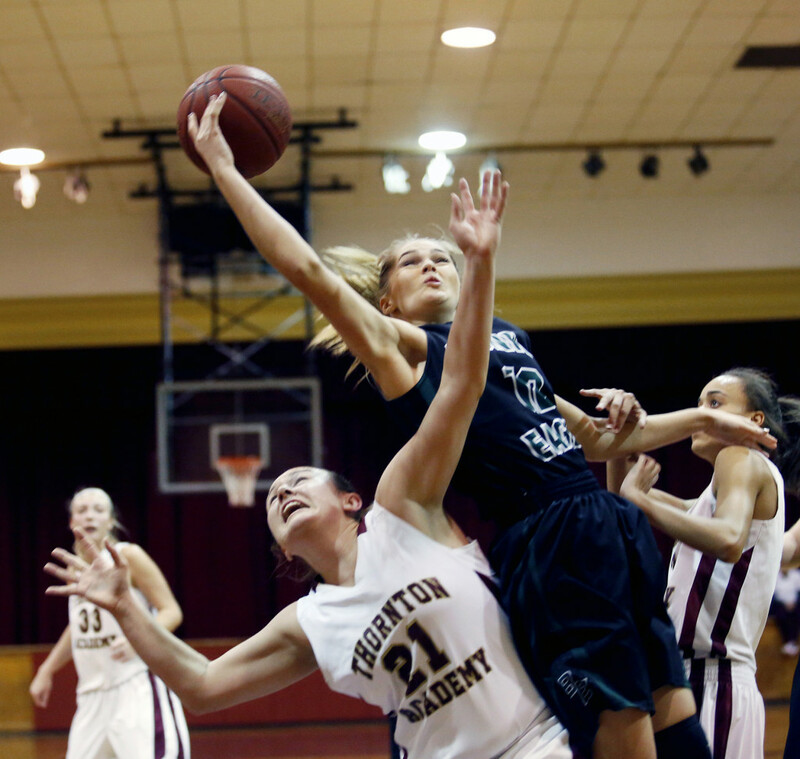 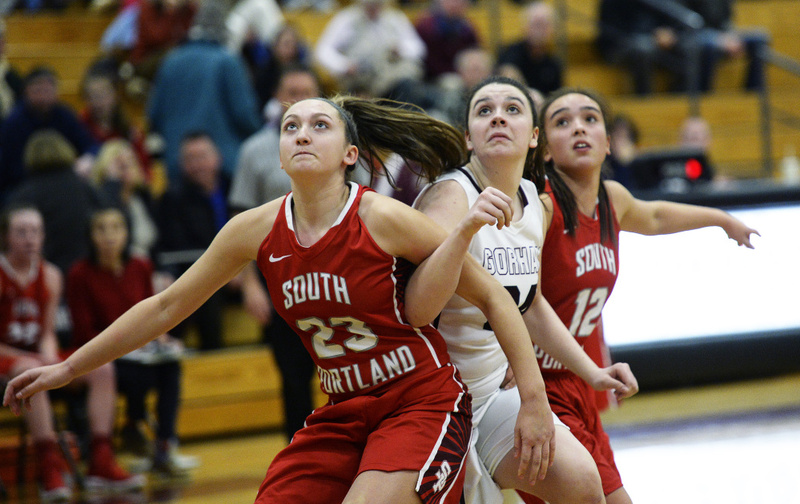 DEC. 16: Leah Tufts of Wells drives to the basket against Old Orchard Beach defender Kaitlyn Cote. 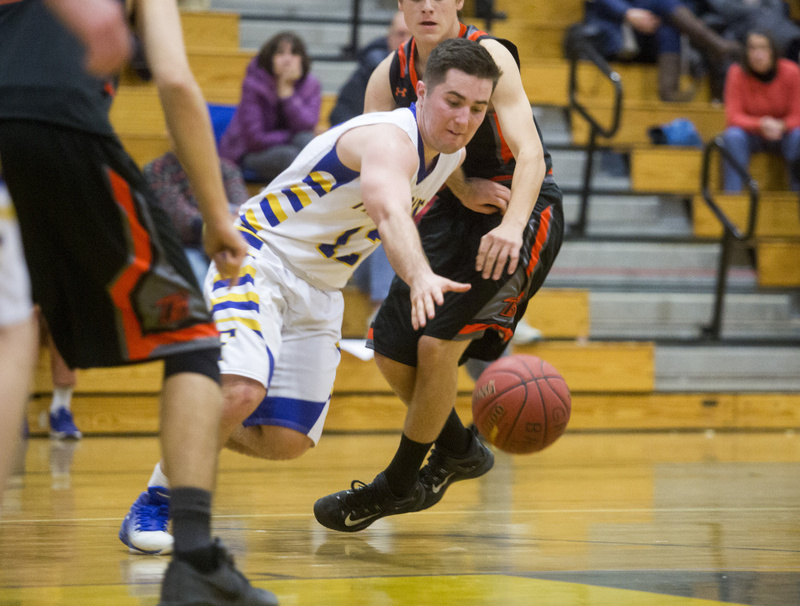 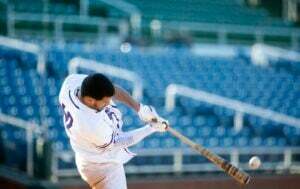 Wells improved to 2-1 and dropped Old Orchard Beach to 1-2. 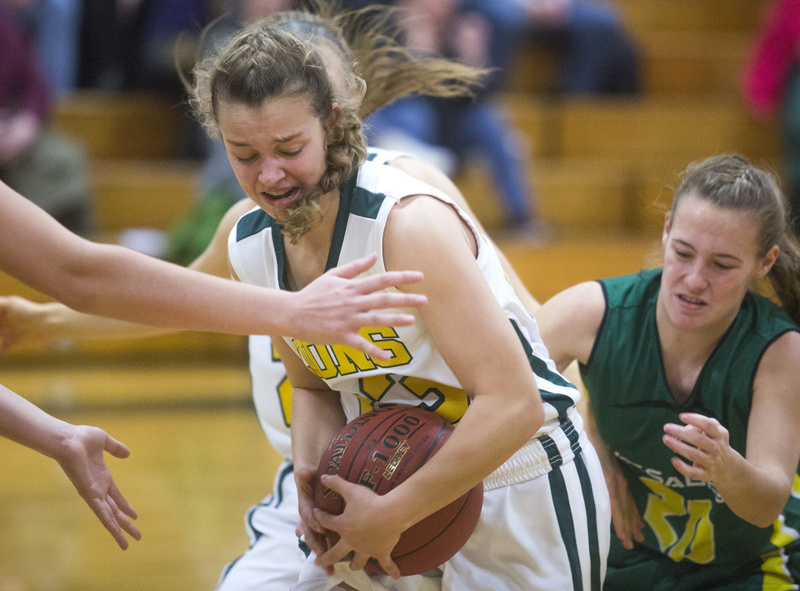 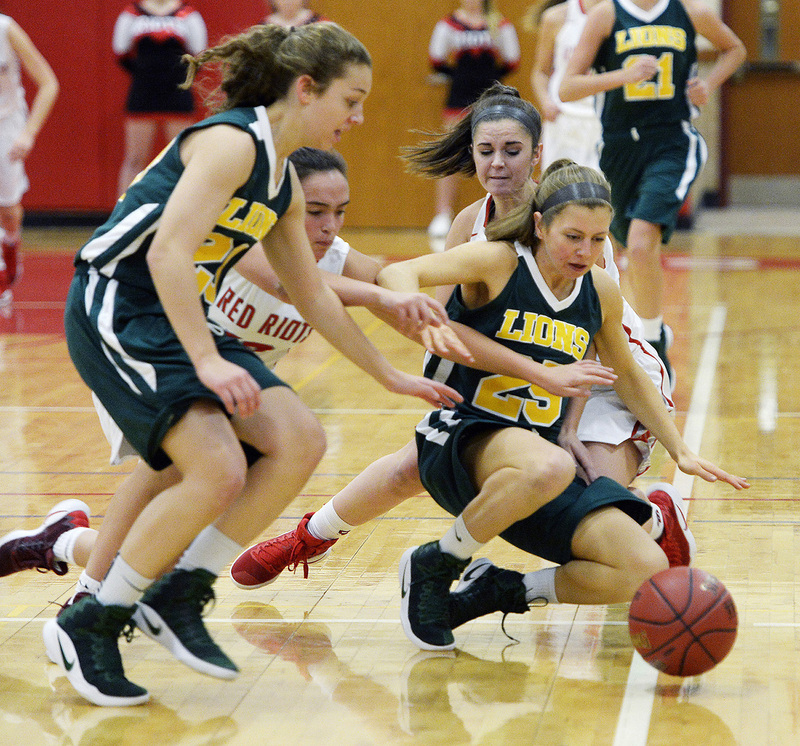 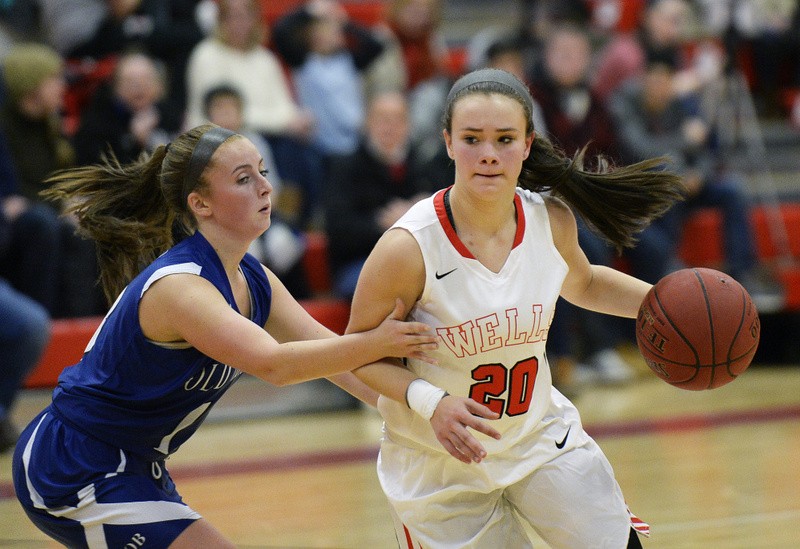 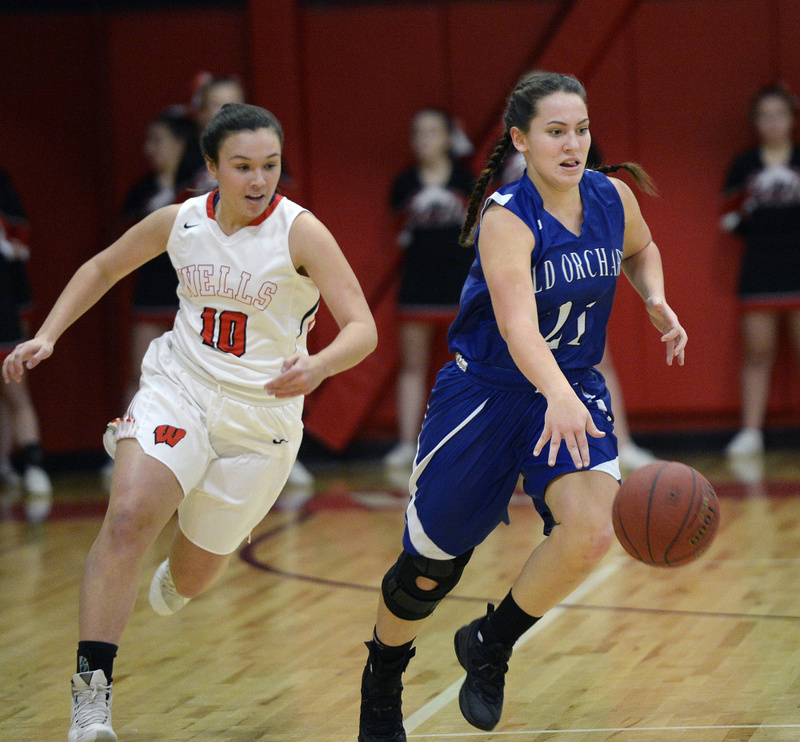 DEC. 16: Emily Greenlee of Old Orchard Beach drives down court as Leah Tufts of Wells moves in on defense Friday. 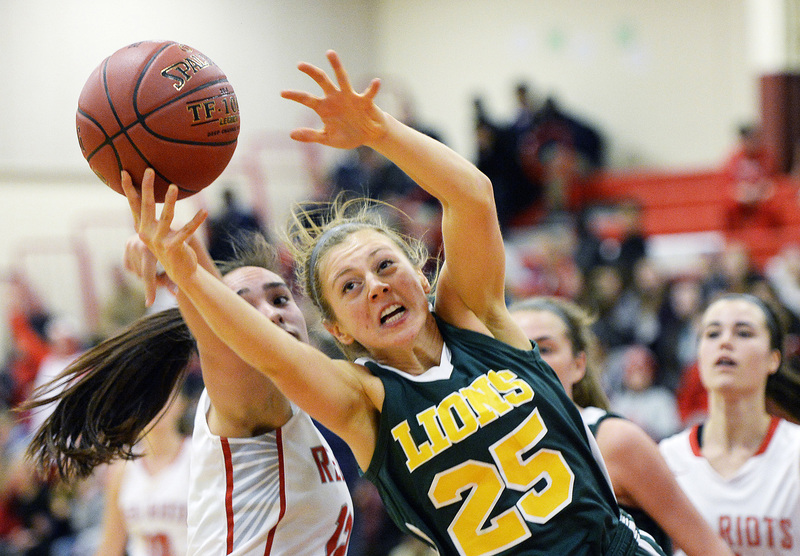 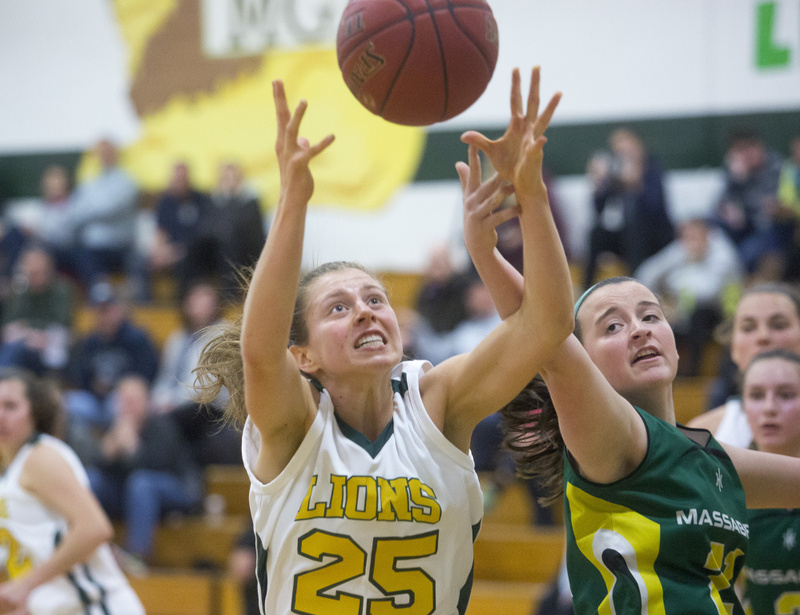 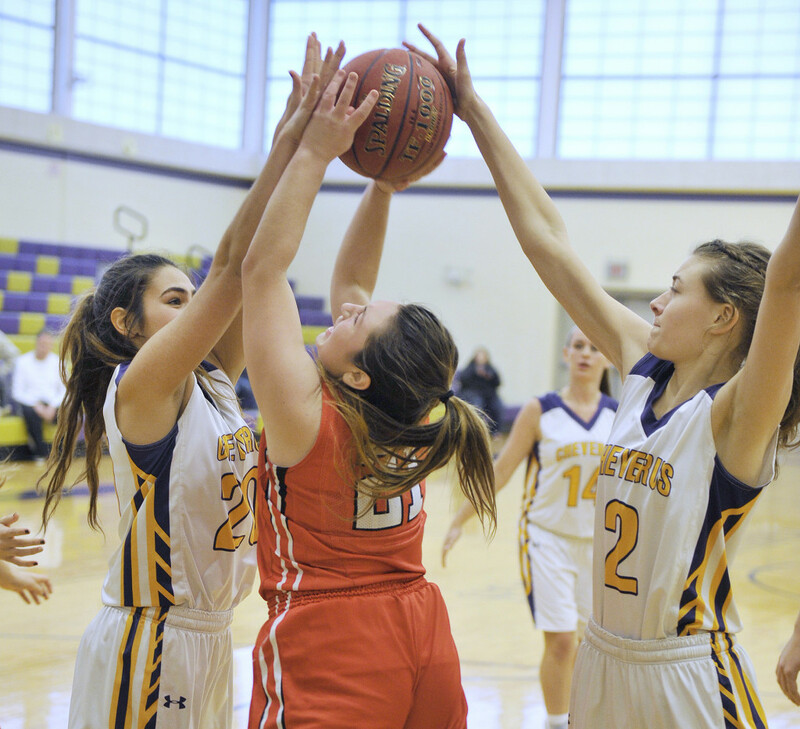 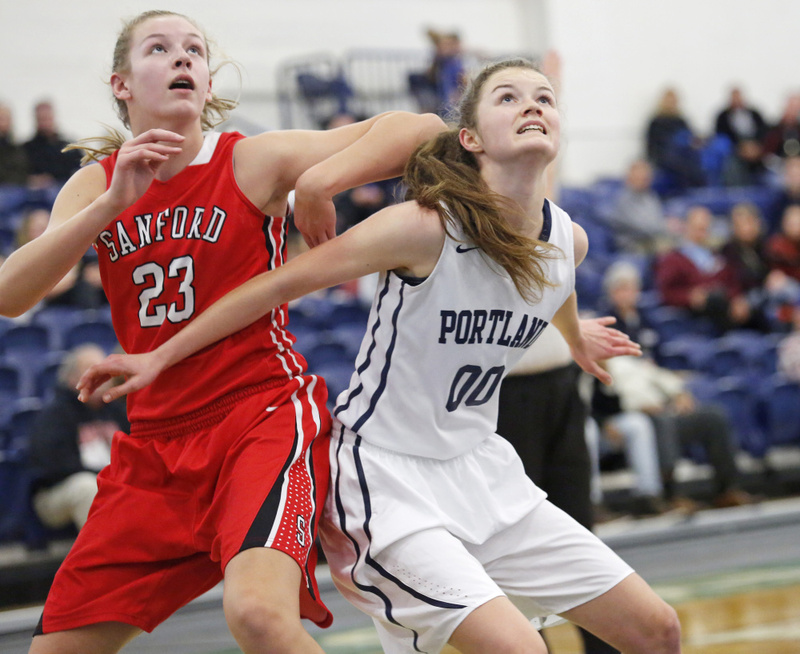 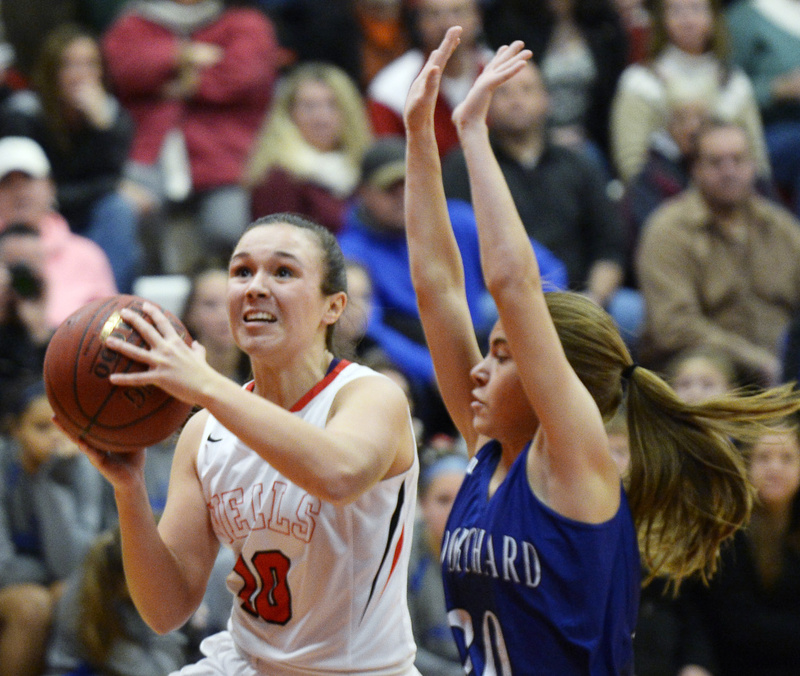 DEC. 16: Mackenzie Foss of Wells drives with the ball as Samantha Donnell of Old Orchard Beach plays defense Friday. 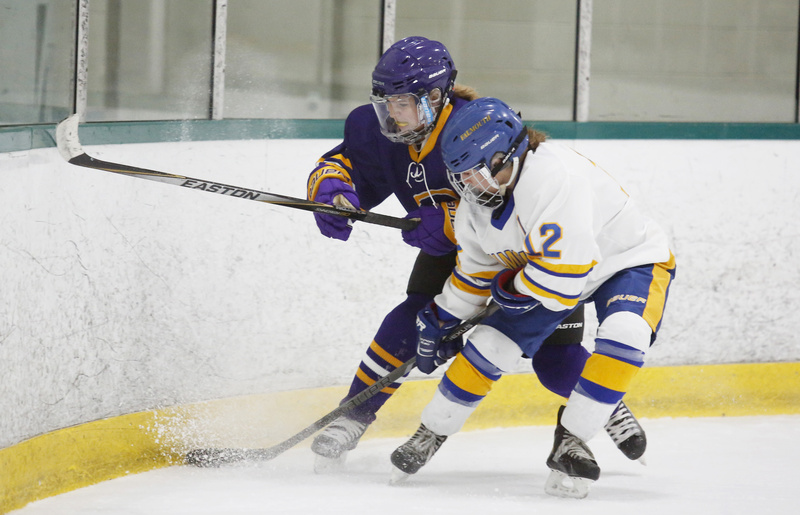 NOV. 30: Terryn MacDonald of Cheverus, left, and Evie Clement of Falmouth chase the puck into the corner in the second period in Wednesday night's girls' hockey game at Falmouth. 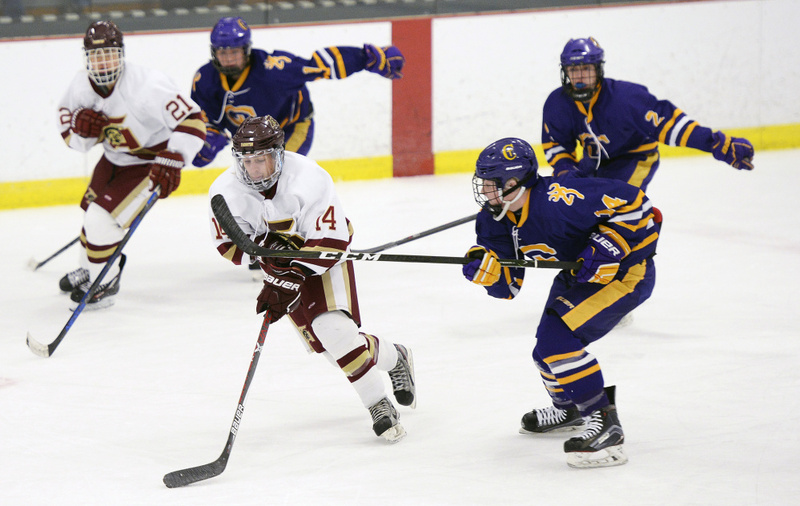 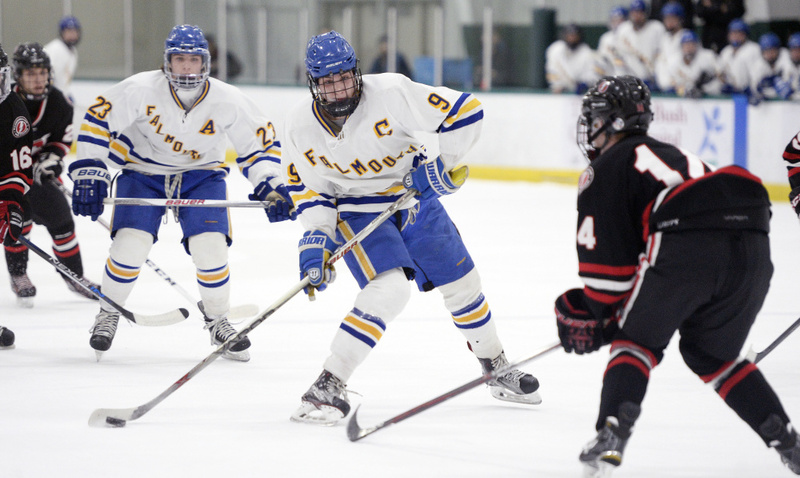 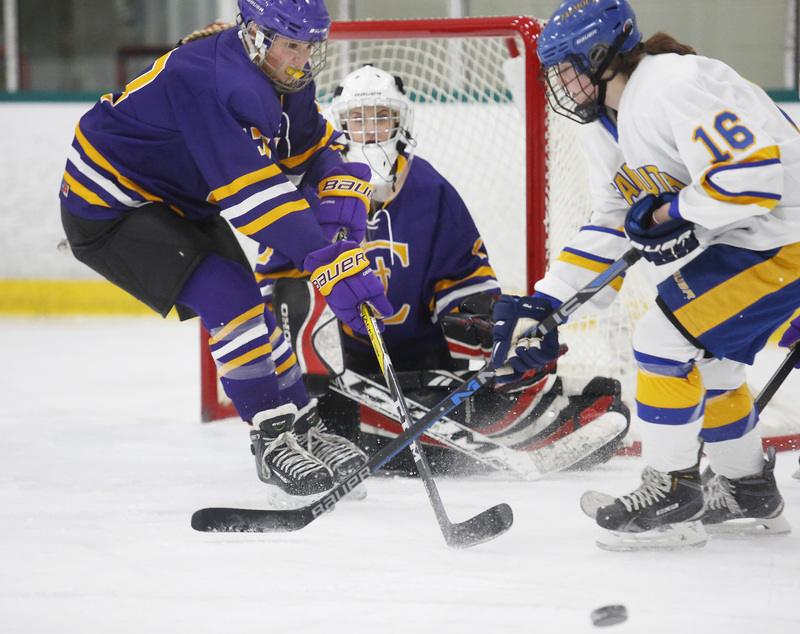 NOV. 30: Olivia Adams of Cheverus clears the puck from Stone Carmichael of Falmouth as Cheverus goaltender Anna Smith looks on.